SET Exam Result 2018 has been declared on 14 May 2018. 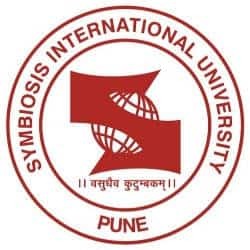 SET result has been released for candidates who appeared in SET/SLAT/SEED/SITEEE exam conducted by Symbiosis International University (SIU), Pune. The result is announced in the form of SET score card. To download SET 2018 result, candidates must enter their SLAT/SEED/SET/SITEEE ID and password in the required space. The link to download SET Symbiosis result 2018 has been provided on this page below. The merit list of SET Symbiosis 2018 will be prepared on the basis of marks obtained in the entrance test. The Symbiosis University also grants admission to B.Tech courses on the basis of JEE Main and MHT CET scores. The qualified candidates will be called for counselling, which will commence from 2 June 2018. Aspirants will be granted admission on the basis of their marks in the exam. Know more about how to download SET Symbiosis result 2018 and other details form the article below. After checking the SET Result, it is also mandatory for the candidates to fill the online admission form for the individual Institutes for the desired programme before the closing date of application of the respective Institute. The result of SET 2018 has been released on 14 May in the form of score card. Check the important dates related to SET exam result 2018 in order to avoid missing any events. SET Exam Result - Released! The important points related to Symbiosis Entrance Test (SET) Result is given below. Candidates can check all the relevant points related to SET Result. SET 2018 Result can be checked by the candidates on the date specified. Section wise results will be informed to the Participating institutes by the Symbiosis Test Secretariat. Thereafter, the institutes will publish their individual merit list of the shortlisted candidates on the basis of the rules and regulations specified. The list of shortlisted candidates as declared by a participating institute will be final and shall not be subject to any appeal or evaluation. No request regarding the revaluation of the answer sheet will be entertained as the entire answer sheets have been checked by the scanning machine. Scores published by the Symbiosis Test Secretariat shall be final and shall not be subject to any appeal or evaluation. 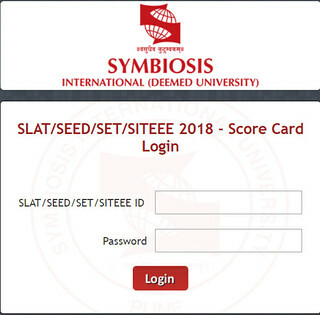 SET Result will remain available on the official website of Symbiosis for a period of one month and the student can download the SET Score Card Online. Written Ability Test (WAT): The candidates who have made it to the PI will have to appear in the Writing Ability Test in order to get selected. For more info related to the syllabus and the WAT, applicants need to contact the respective institutes they are applying for. Symbiosis Entrance Test (SET) is for admission into Symbiosis International University for undergraduate as well as postgraduate programmes. SET 2018 is an all India Entrance Exam conducted by Symbiosis International University for admission to its various courses for the academic session 2018-19. A candidate aspiring to pursue an undergraduate programme at Symbiosis International University has to go through following stages for admission in Symbiosis International University. In case of any query related to SET Exam Result 2018, write to us in the comment section below.